STCW-95 Safety & Social Resp. 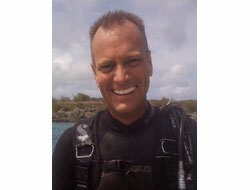 I am an enthusiastic, motivated instructor with over 1000 sea days above the water and over 300 dives below the water. I emjoy making full use of my sailing, diving and teaching experience, conscientious attitude and tireless work ethic. I am always looking to share my passion for the sea with others that value the customer experience and rewards employee diligence. As owner/skipper, over 1000 days of racing and cruising with over 12,000 sea miles, including four 125 mile Newport to Ensenada Races. Recruited and trained crew and performed all maintenance. Managed 8-person department and oversaw final mechanical production of all key art for entertainment clients. Created 1-Sheets, banners, billboards and all outdoor advertising for Hollywood movies. Created design and production methodologies and procedures. Maintained a Total Quality Management system for workflow and deliverables. Originated and maintained website and created all new print marketing materials for company promotion and new business development. organising all activities on and off the water. Vice Commodore 2007 – Responsible for organising all social and racing activities. Rear Commodore/Race Chairman 2006 – Responsible for facilities management and racing activities.. Web Liasion 2008- Conduct needs and usability analysis in website redesign. Extensive management, graphics and advertising experience. Extensive Mar Manager / Bartending experience.